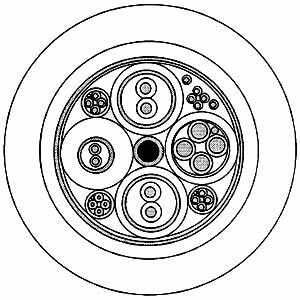 Lightweight, neutral and positively buoyant cables have many useful applications in the underwater environment. 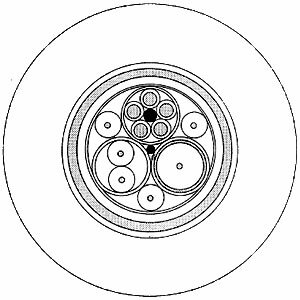 Lightweight cables reduce handling for portable systems, neutral cables are commonly used for Remotely Operated Vehicle tether cables and buoyant cables are used in applications as diverse as submarine antenna systems and variable density tow systems. 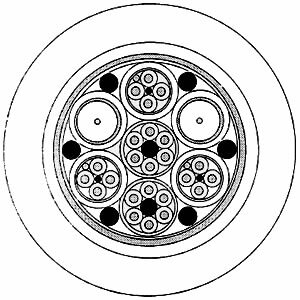 These cables can include electrical conductors, fiber optics and mechanical strength members. Depending on in-water depth requirements several different buoyant materials can be used. 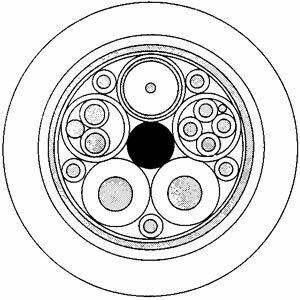 Your cable will be designed to meet your most exacting requirements. Shown below are examples of neutral tether cables manufactured by our company. Click on the cross-sections or part-numbers to view details. To request a quotation on your cable requirement just click the Request a Quote button.